Box Text: Your tag-along little sister - Just how hard would you have to push to get her swing to do a loop? Ancient Ms. Glass, the English teacher - Hey kiddies, can you spell "cardiac arrest?" Good 'ol mom and dad - dump 'em fast, dump 'em now, look cute and blame eveything on your sister. Welcome to the seriously warped world of Willy Beamish. You'll face neurotic yuppie parents, teachers on the edge, a ghostly grandfather back from the grave, the baby-sitter from hell, and a plot to blow the city's sewer system sky high. It's chaotic, it's juvenile, it's definitely deranged and you're gonna love every minute of it! 10-26-2012 exonerator Box Text Your tag-along little sister - Just how hard would you have to push to get her swing to do a loop? Ancient Ms. Glass, the English teacher - Hey kiddies, can you spell "cardiac arrest?" Good 'ol mom and dad - dump 'em fast, dump 'em now, look cute and blame eveything on your sister. Welcome to the seriously warped world of Willy Beamish. You'll face neurotic yuppie parents, teachers on the edge, a ghostly grandfather back from the grave, the baby-sitter from hell, and a plot to blow the city's sewer system sky high. It's chaotic, it's juvenile, it's definitely deranged and you're gonna love every minute of it! 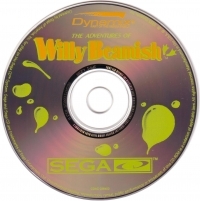 This is a list of VGCollect users who have Adventures Of Willy Beamish, The in their Collection. 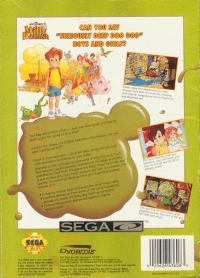 This is a list of VGCollect users who have Adventures Of Willy Beamish, The in their Sell List. 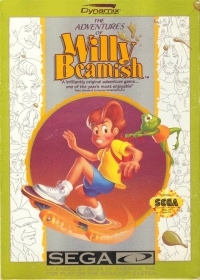 This is a list of VGCollect users who have Adventures Of Willy Beamish, The in their Wish List.